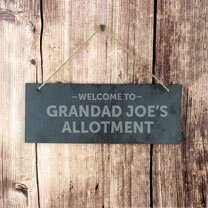 Personalise this “Welcome To..” slate hanging door Sign with your own message over 2 lines. Above the personalisation, the wording 'WELCOME TO' will appear as a fixed part of the design. 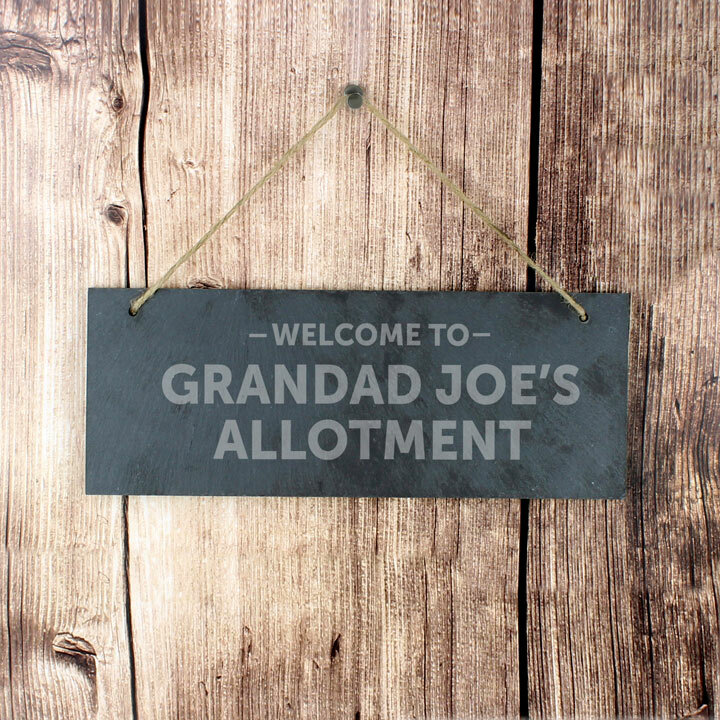 The door plaque has a piece of natural, rustic string which enables this item to be hung up, on a door, wall, shed or tree! All personalisation will appear as it is entered. If you require UPPER CASE, please enter in this way when ordering. 9.5 x 25 x 0.5cm.